When my twin daughters were learning to drive, I spent countless hours working with them as they practiced behind the wheel. I owed it to all of you to do my job well! On my quest to mold them into great drivers, I learned one certain truth: this kind of coaching can only be accomplished from inside a moving vehicle. You cannot teach someone how to drive a car by handing them a book, suggesting an informative video, or lecturing them on safe driving techniques. Our learn-to-drive boot camp did begin with some classroom-style learning. The girls read the information booklet provided by the Department of Motor Vehicles from cover to cover and they attended formal driver’s education classes to ensure they obtained the knowledge required to pass their written exam. They squeaked by on that exam which then earned them a driver’s permit so they could legally join the rest of us on the road as long as they have a family member in the car. Me. Another certain truth: just because someone passes a written test does not mean they drive well. So we practiced. A lot. And not all of the practicing was done with me. The girls also signed up for 11 structured drive times with a trained instructor who guides them through increasingly more difficult lessons with immediate detailed feedback so they became more skilled and confident on the road. I can’t drive for them and expect them to learn (even though I’m pretty good). They have to do more than just sit back and watch to be able to skillfully do it themselves. As a coach, it’s not enough to just sit in the passenger seat. If I don’t give them clear and immediate feedback on what they did right and what they could have done better (or ask them to evaluate how they are doing themselves) they will never improve. Sending them out on the road to figure it out on their own just doesn’t work. Can you imagine learning to drive in traffic, on highways, with pressure all around you without an instructor in the passenger seat providing coaching and feedback? Never. And we shouldn’t expect that of our salespeople. We expect greatness from our salespeople and our salespeople expect greatness from themselves. If we leave their passenger seat empty too often, they lack the feedback on what they did right and what they can improve to achieve that greatness. Whether you already practice in-field coaching and want to improve or you haven’t done much of it yet, these 8 steps to great in-field coaching will get you on the road. Follow these 8 steps to improve your in-field coaching today! 1) No sneak attacks. 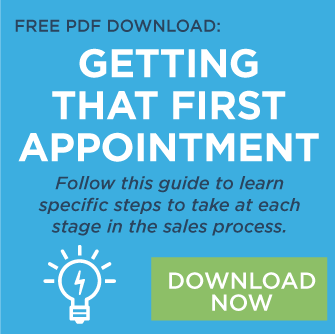 Schedule time in the field with each of your salespeople in advance—weeks in advance. And, stick to your schedule. 2) Be the coach. When you are in-field with a salesperson, remember you are there to coach. Resist the temptation to jump in and sell. 3) Prepare in advance. Ask the seller to define the goal of the call for you—before you show up. 4) Take lots of notes. And make sure those notes are about the performance of the seller—not about the client. The salesperson should be handling that. 6) Seek their input first. Begin your feedback session by asking the seller to share her thoughts on what she did well and the areas in which she might improve. Then share your own observations. 8) Put it in writing. Keep a separate log for each of your salespeople so you can review often and recognize their improvement.